The 2017 CR-V has been very well received since its launch. It is easy to see why once you have a seat in this 2017 CR-V Touring! It is on display in the “Modern Steel Metallic” paint colour, and comes with a black leather interior. It comes equipped with a 1.5L, 16-valve, Direct Injection, DOHC, turbocharged engine with Continuously Variable Transmission (CVT). This engine and transmission pairing has an average fuel economy of 8.7/7.2/8.0 L/100km (city/highway/combination). 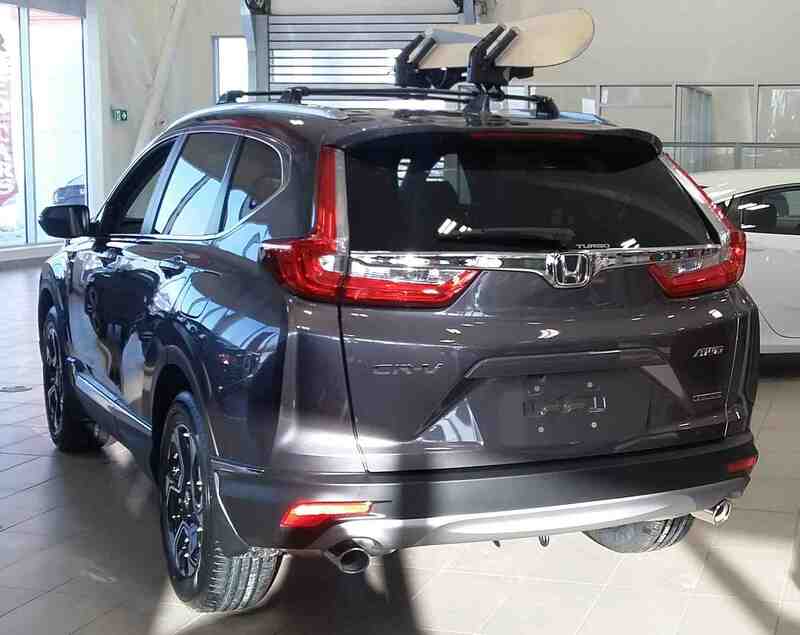 The 2017 CR-V Touring comes equipped with 18 inch aluminum-alloy wheels, and has an available towing capacity of up to 680kg. It has seating for five, and the back row of seats can fold down to create more cargo room. 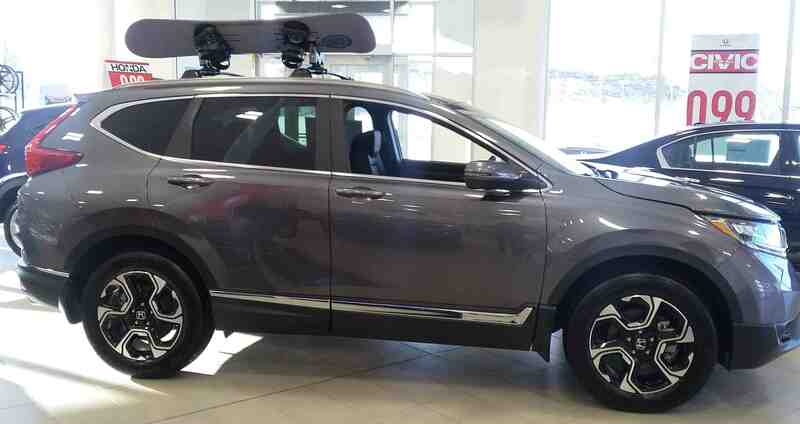 The Touring trim level comes with a handsfree power tailgate, a panoramic moon roof, and a duel exhaust with chrome finisher. In addition, it comes equipped with proximity key entry, pushbutton start, a remote engine starter, and walkaway door locks. The 2017 CR-V is packed with safety and entertainment technology! 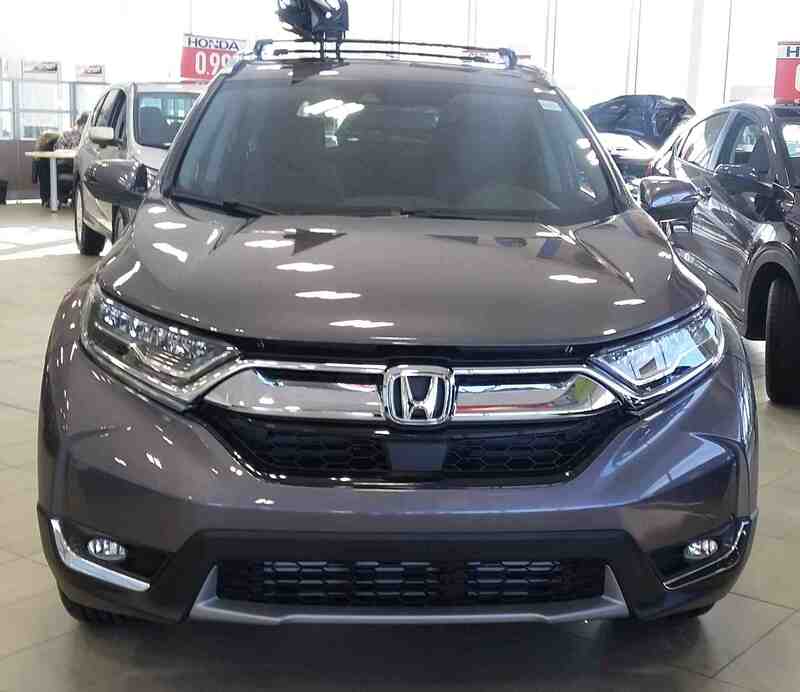 The Touring comes with the Honda Sensing bundle of safety features, a multi-angle rearview camera, HondaLink Assist, and the Honda Satellite-Linked Navigation System. Its Display Audio System is compatible with HondaLink the Next Generation, Apple CarPlay, Android Auto, and HD Radio. 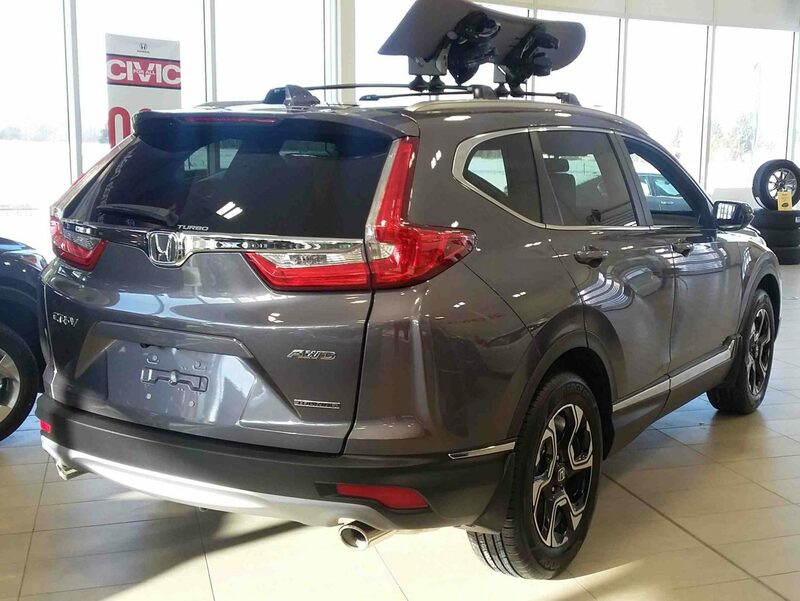 If you would like to take the 2017 CR-V Touring for a test drive, click here!